Now that brain training games are the real rage, we have yet another one for you to try, Memory Games joins the general offer of pastimes that are available to exercise your visual memory. 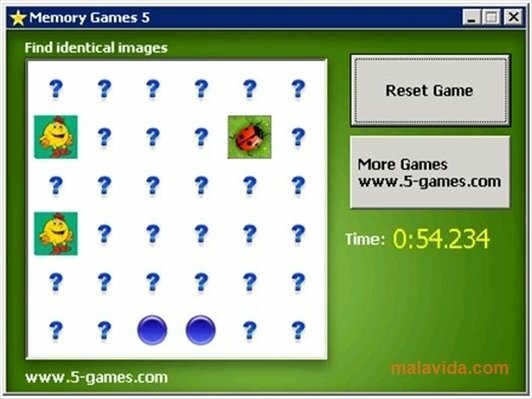 This game, once installed and launched, shows thirty-six question marks, behind which we'll find eighteen images that are repeated. 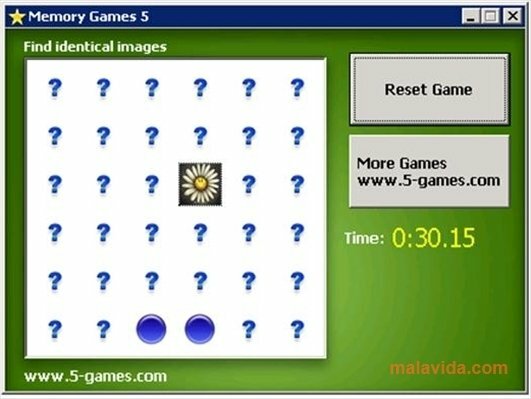 As you've probably guessed, you have to match all the images as quickly as possible. The images range from drawings, of a bird or face, to various that are similar to precious stones or even photos. They are all easy to identify and distinguish, but at the same time with the general idea of forcing you to remember exactly where each correct pair is. As we test our brain over time, we'll take less time to match up all the pairs, thus proving that we're exercising our brain. 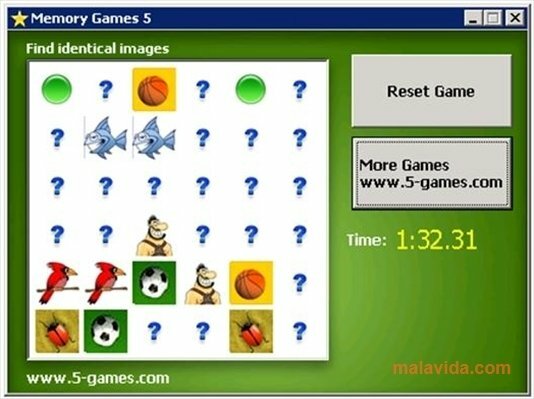 This is one of the best ways to train our memory, because this way we visually remember image and shape positions, which will make our brain more agile.